Dassault Aviation CEO Eric Trappier said the joint venture with Reliance represents around 10 per cent of the total offset investments. Highlighting that Anil Ambani-led Reliance Group is one of the 100 Indian companies chosen for partnership as part of offset investments under the Rafale deal, Dassault Aviation CEO Eric Trappier said the joint venture with Reliance represents around 10 per cent of the total offset investments. In an interview to AFP, Trappier said, "We are in negotiations with about a hundred Indian companies and partnerships have already been concluded with about thirty of them." When asked why Dassault chose Reliance over HAL, Trappier said, "Dassault Aviation decided to establish a long-term presence in India through DRAL, a joint enterprise in which governance is provided by an Indian Chief Executive Officer and a French Chief Operating Officer. Dassault Aviation therefore exercises technical and industrial control over the operations, applying its standards and its flexibility. This JV will produce parts for the Falcon 2000 and Rafale. The choice of the Nagpur site, in central India, was dictated by the availability of land with direct access to an airport runway." Responding to the reports in French media that claimed Dassault's joint venture with its Anil Ambani-led Reliance Group was a 'counterpart' to win the contract for 36 fighter jets, Trappier said, "To clarify matters, what is called 'offset' in English is usually translated into French as 'compensation' or 'contrepartie'." "Signing an offset contract is a requirement of Indian law (Defence Procurement Procedure). The implementation of offsets is an obligation and, under the Indian regulation, the choice of the partners belongs to us," he added. Defence Minister Nirmala Sitharaman, who is currently in Paris, also claimed that the government had no idea that Dassault Aviation would team up with Reliance Group. Dassault Aviation had earlier said that it has freely chosen to make a partnership with India's Reliance Group as part of offsets in India. The aircraft-maker said partnerships have also been signed with other companies such as BTSL, DEFSYS, Kinetic, Mahindra, Maini, SAMTEL and negotiations are still going on with a hundred-odd other potential partners. 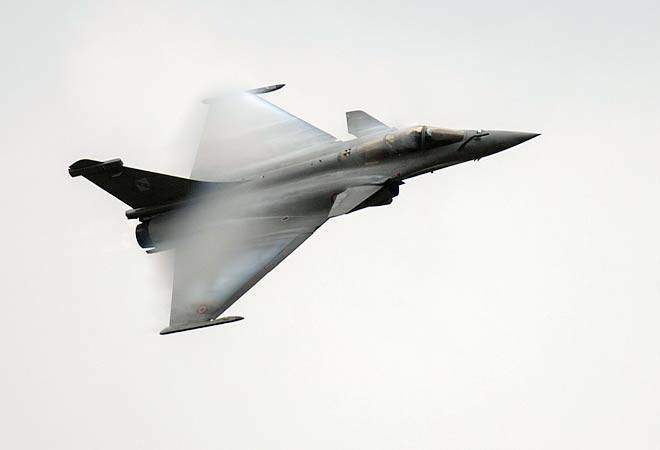 Dassault Aviation has committed to offsets in India worth 50 per cent of the value of the purchase of Rafale jets. Dassault Reliance Aerospace Ltd (DRAL), a joint venture of Anil Ambani-led Reliance and Dassault, was created February 10, 2017. DRAL plant in Nagpur will manufacture parts for Falcon 2000 business jets and, in a second step, parts for Rafale aircraft. The first Falcon 2000 parts will be delivered by end 2018.